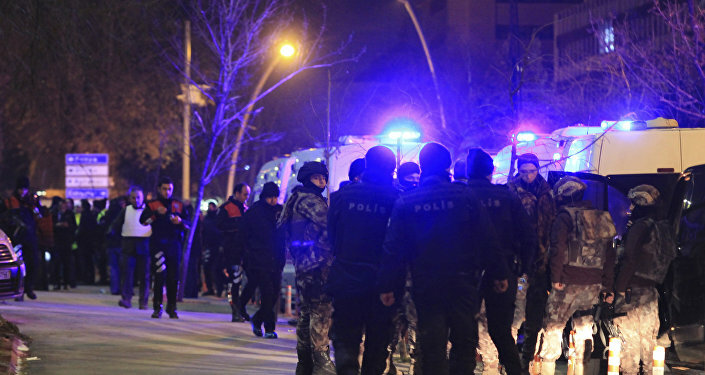 While giving a welcome speech at the Ankara Center for Contemporary Art on Monday December 19, Karlov was shot nine times in the back by Mevlüt Mert Altıntaş, a Turkish police officer. The 62-year-old father of one was unarmed and unguarded, and died soon after. Altıntaş’s motivations are not yet clear, but after the murder he yelled “Don't forget Aleppo, don't forget Syria!" The 1961 Vienna Convention on Diplomatic Relations, which nearly every country has signed and ratified, places the safety of diplomats as sacrosanct. Even in wartime, a diplomat’s task of providing reliable means of communication between nations is thought to be apolitical and crucial. Kuntzmann’s comments have been met primarily with outrage on NYDN’s Facebook page. “Shouldn't we be sad based on the fact he was a human being who was killed on camera? For the whole world & his family? Ridiculous headline. Learn some empathy instead of selling propaganda against Russia over this tragic death,” reads one comment. “Oh Gersh, do you just stay awake at night trying to figure out ways to be ‘controversial’ or are you really that stupid. Regardless of what he was ‘the face of’, being assassinated by an Islamic terrorist is a bad thing,” reads another. Many readers were fast to remind the author that the US is also participating in Middle East conflicts, and American diplomats have been killed in the line of duty as well. “I'm sure there are many in the dung pile who would have said the same about Chris Stephens.. way to "go high", sickos,” Lynn Peterson reflected. Others went further. “You have got to be kidding me…the United States has committed human atrocities all over the place…seriously Kuntzman are you oblivious to The American war machine and what it has been doing to innocent lives for decades,” Gord Jacquie Clance charged. The international response to the death of Andrey Karlov was a combination of outrage and support for Russia, as one of their public servants was horrifically gunned down. Besides Turkey, figures such as US Secretary of State John Kerry, Spanish Prime Minister Mariano Rajoy, French President Francois Hollande, Japanese Prime Minister Shinzo Abe, and countless others have offered Russia condolences. Others celebrated Karlov’s death. Most prominent among them were Ukrainian nationalist politician Volodymyr Parasiuk, as well as Daesh. They have now been joined by NYDN. Professional Diplomat Who Became a Terrorist's Target: Who Was Andrey Karlov?